"I updated my iPad Air 16GB Wi-Fi model with iOS 8 yesterday and since then I am facing random reboots with blue screens." "Update to iOS 8 on iphone 5s. Continuously loops after failure to reboot (including blue screen of death)." "Me, too. Same issue. iPad Air crashes frequently with blue screen after updating to iOS 8." Quite familiar with these situations above, right? As iPhone/iPad/iPod users, you must be suffering the same headache from blue screen of death (BSOD) after iOS 8 or iOS 9/iOS 10 update. How we are going to fix this blue screen of death problem has become the chief fable of iOS 8 device users. 4 tips are suggested in the following part. When you meet blue screen issue after upgrading to iOS 8, you can try the following solutions to fix it. 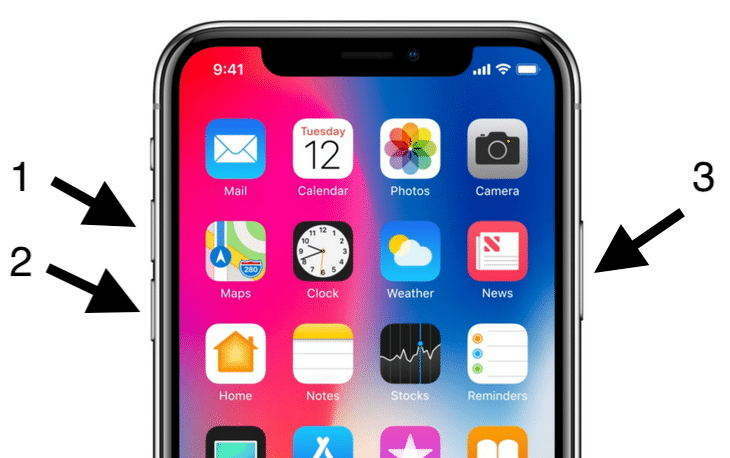 Press and hold the Home and Power button simultaneously for a few seconds until you see the Apple logo again. This hard reset works in many cases to fix blue screen of death problem. 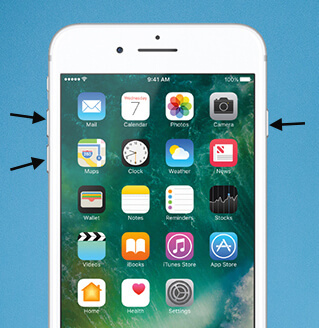 Always make sure you backup iPhone, iPad and iPod data before tapping that Home button. You can disable iCloud sync for the iWork apps by going to Settings > iCloud > Documents & Data, and sliding Pages, Keynotes, and Numbers to off. Any iOS System Repair (ReiBoot) is a free handy utility that can fix blue screen as well as apple logo screen of death problem by rebooting your iOS devices, and get it back to normal with a single click. It works for iPhone 7, iPhone SE, iPhone 6/6 Plus/6s/6s Plus, iPhone 5s/5c/5/4s, iPad Air/mini 2/mini/4/3/2, iPod touch 5th generation after iOS 8 upgrade. Moreover, it never causes any data loss or damage to your iDevices. The total downloads in CNET Download.com has reached 71,752 till now and a number of users have pretty good feedback, saying it's awesome to fix their blue screen of death problem on iDevices. Download and install Any iOS System Repair (ReiBoot) on your windows PC (Windows 10/8.1/8/7/XP/Vista). Mac users go to Any iOS System Repair (ReiBoot) for Mac and it works well on macOS 10.12 Sierra, Mac OS X 10.10 Yosemite, 10.9/10.8/10.7/10.6. Connect your iDevice to computer and launch Any iOS System Repair (ReiBoot). You will see two buttons. Firstly click on "Enter Recovery Mode", and after a few seconds click on "Exit Recovery Mode". Once done, the program will force your device to reboot, and then your iDevice will come back to normal. Tried everything above-mentioned but the blue screen problem is still constant? The last thing you can do is to contact Apple customer service for help. We'll continue to add new solutions if we find new ones. If you have any good idea, share it with us in the comment to facilitate us to get rid of this annoying blue screen of death on iPhone, iPad or iPod after iOS 10/9.3 update or iOS 8.3/8.2/8.1 upgrade.